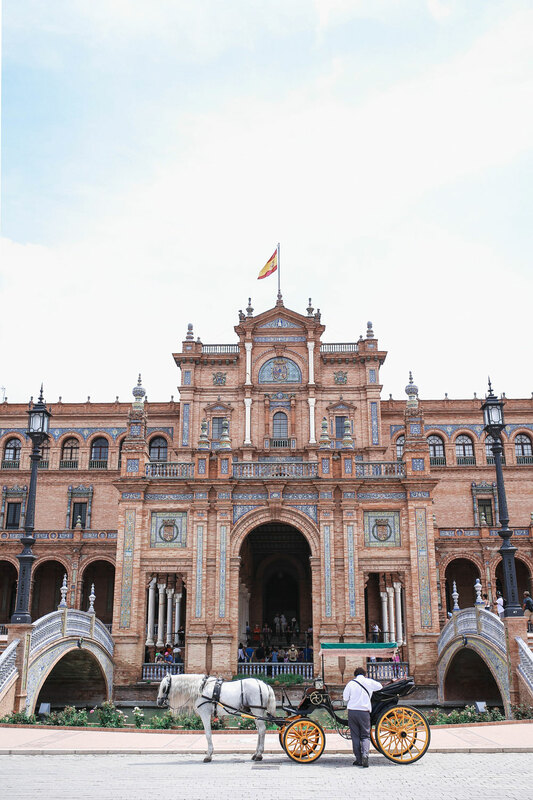 Officially the last in my Spain stories…well, for now! 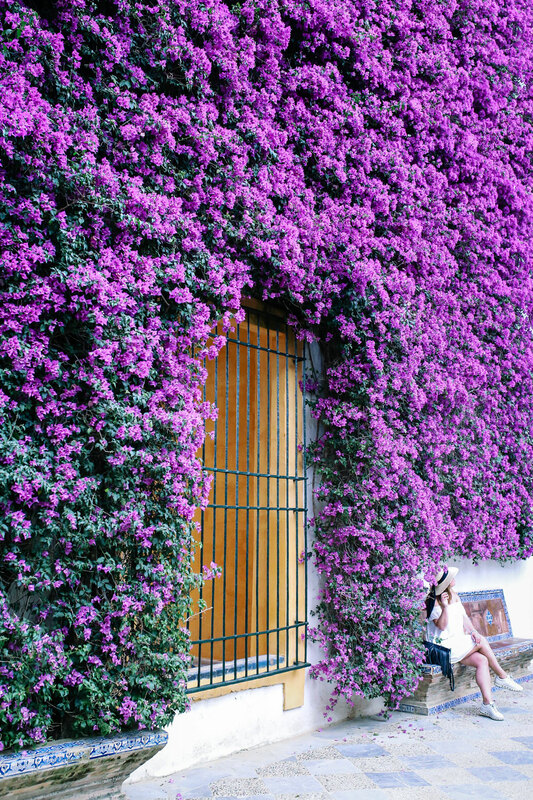 If you guys have been following along on my Andalusia stories, you’ll know how much I loved this special place and I am 100% going to be back (and to visit more of Spain, especially dying to do some of its stunning islands!). 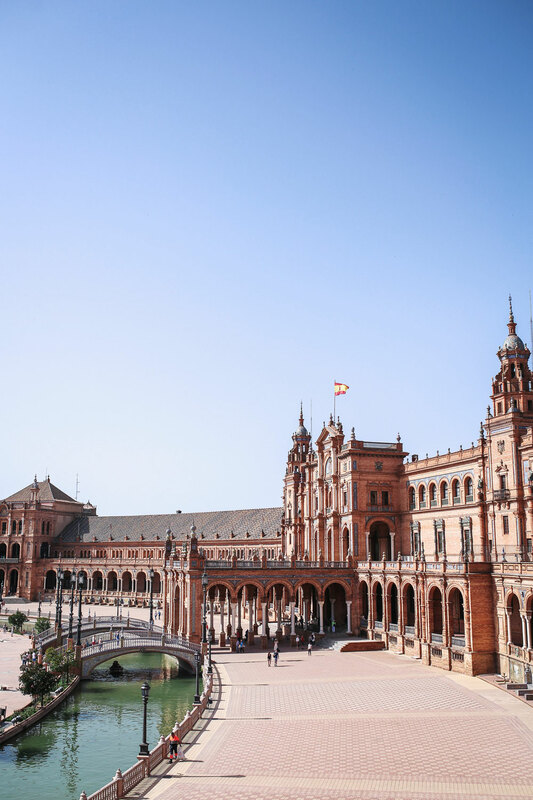 So excited to wrap up with beautiful, magical Sevilla though because in 11 days, I’m off for the next adventure in Greece and France and honestly can’t wait! 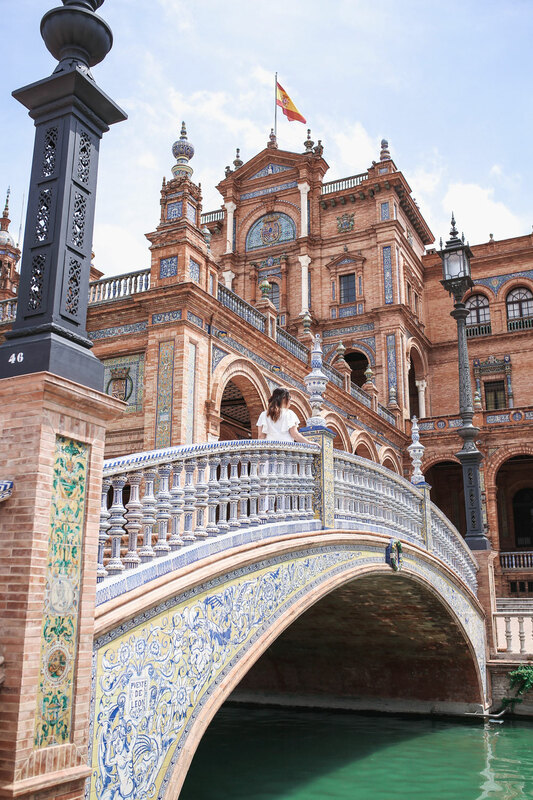 But back to Sevilla—this was honestly the perfect way to go out on our Spain trip. Such a vibrant, beautiful place. 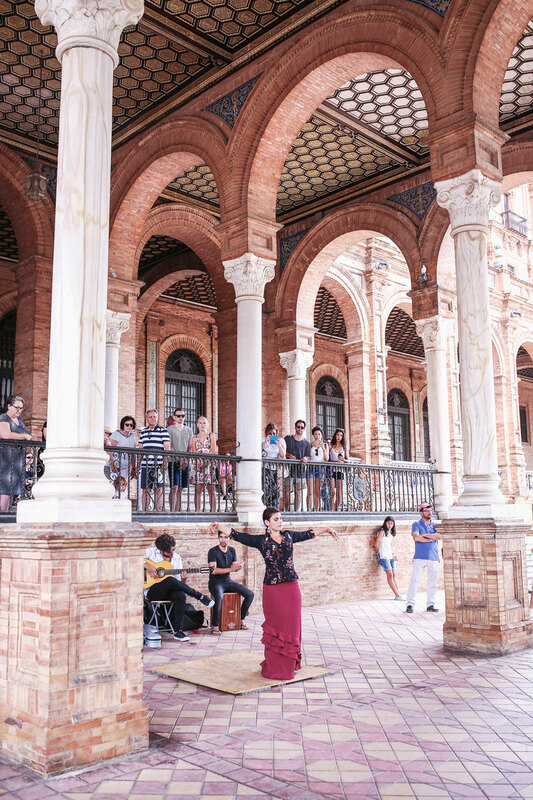 While Granada was much smaller and a bit quieter, Sevilla was kind of its livelier counterpart. There’s a big university right in the middle of the city and like so many great university towns, there are incredible bike lanes to get around the whole city. 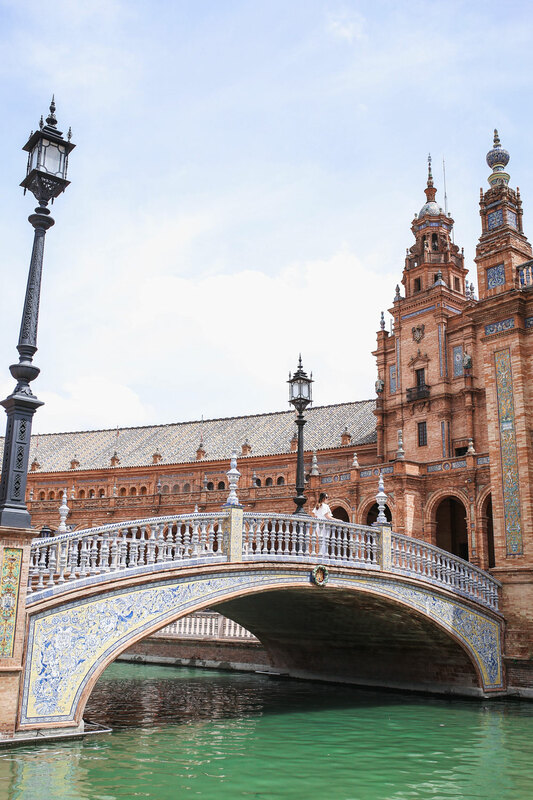 Everything’s just on a bit of a larger scale, between the cathedral (the third largest in the world), the sprawling Plaza de España, the far-reaching landscape views from up above, etc. 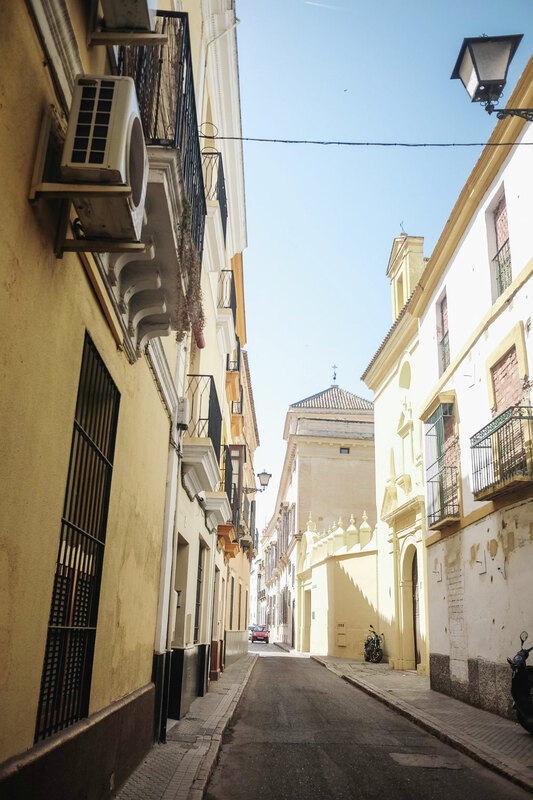 I’m really happy we came on our last leg of the trip because since it was such a whirlwind, it was kind of nice to ease in with Granada and wrap with a more lively spot! I think at least 3 days here is key so that you can see the essentials but like Granada, could spend a lot more time here if given the opportunity. Read on to catch all my tips! 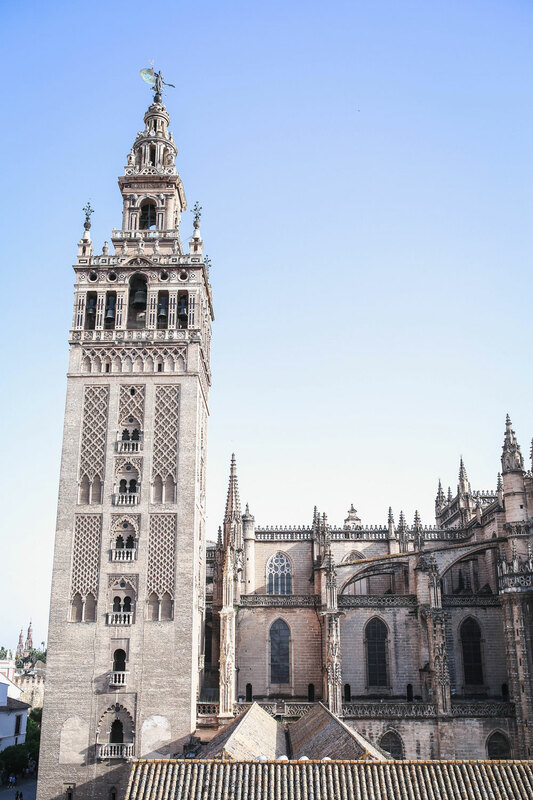 Seville is the largest city in Andalusia, and its capital. 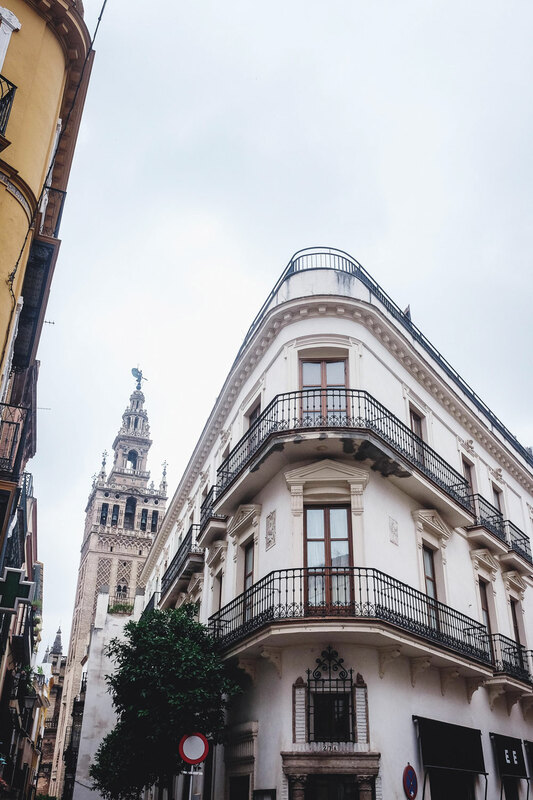 With the beautiful Guadalquivir River running through it, it’s really got a distinctly metropolitan feel, which makes sense because it’s the fourth largest city in all of Spain! It’s also the hottest city in Western Europe, which I totally believed being there, and we weren’t even there during its hottest period! 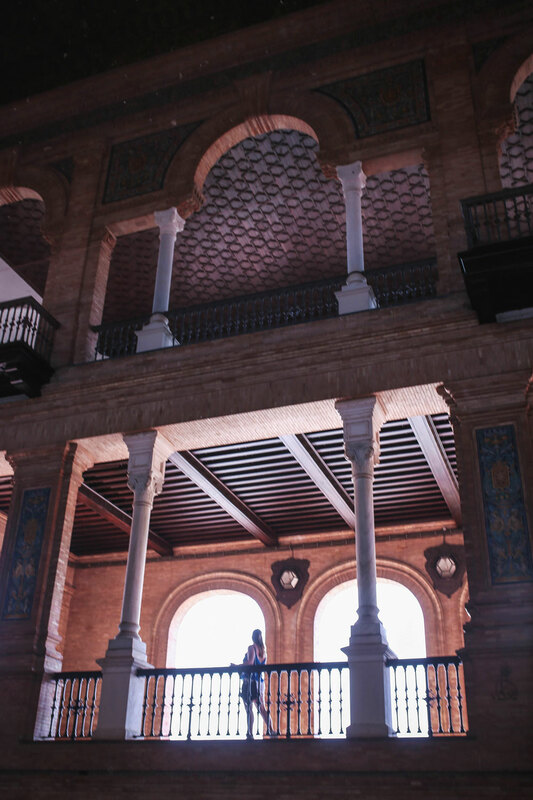 Locals will even say that the Alhambra is more grand, but I thought the Alcázar was so special. Just see this pic for proof! 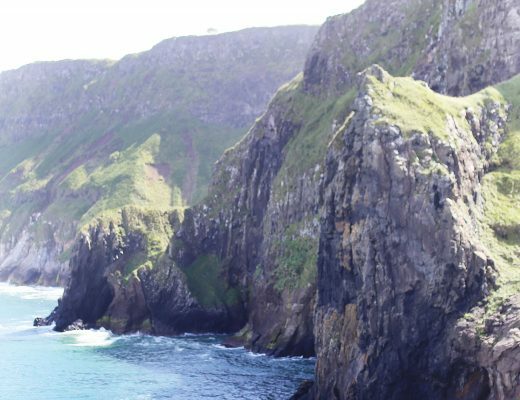 We booked a tour with Get Your Guide and it was seriously worth it. Our tour guide was amazing and we learned so much. As mentioned above, the cathedral is pretty amazing. 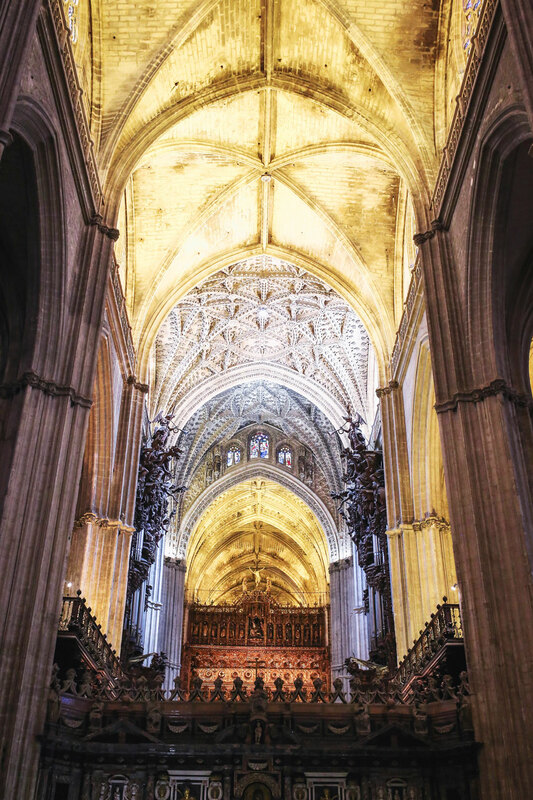 It’s also worth getting a tour here (we did ours with Get Your Guide again) and given the cathedral has such an amazing history, it was well worth it. 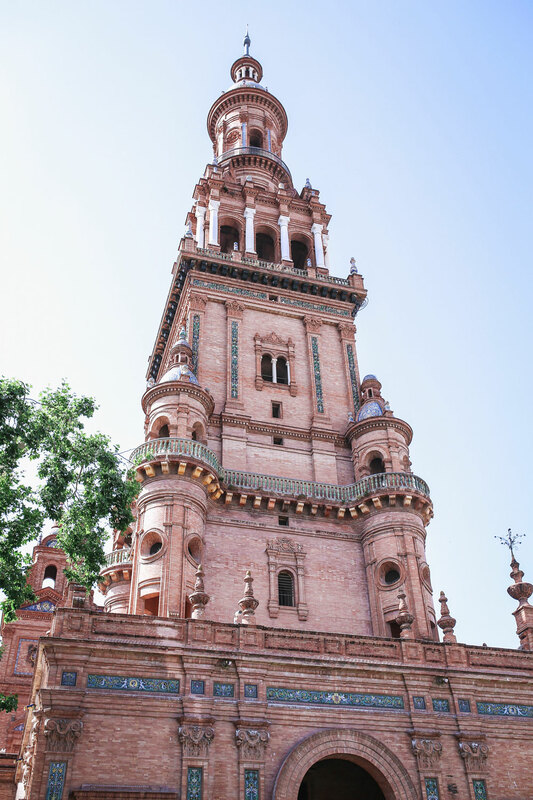 Did you know Christopher Columbus’ remains are buried here, along with his son’s Diego? Or that a monk would ride a donkey aaaaaall the way up to the bell tower to ring the bells (now you can walk it all, great little glute workout in addition to a serous photo op). A definite must. Come here as early in the day as possible to get an unobstructed view (it can get pretty touristy later in the day). 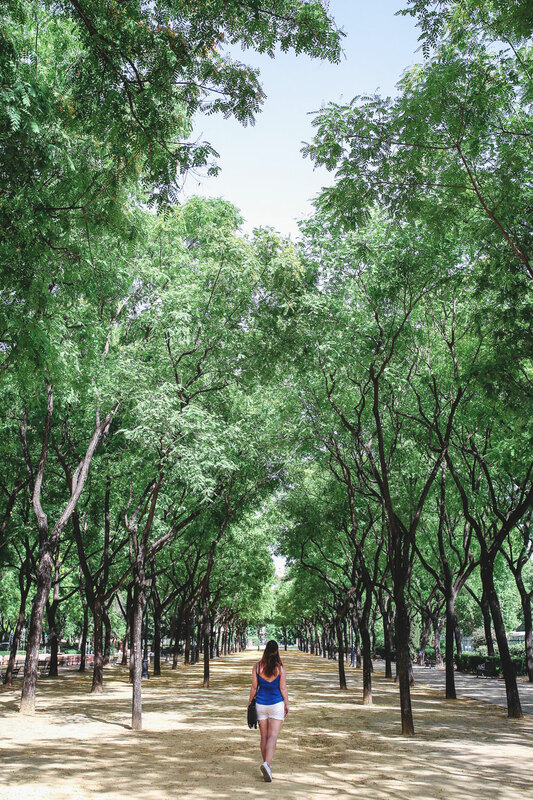 It’s just such a grand and beautiful space, you’ll want to spend a bit of time here. 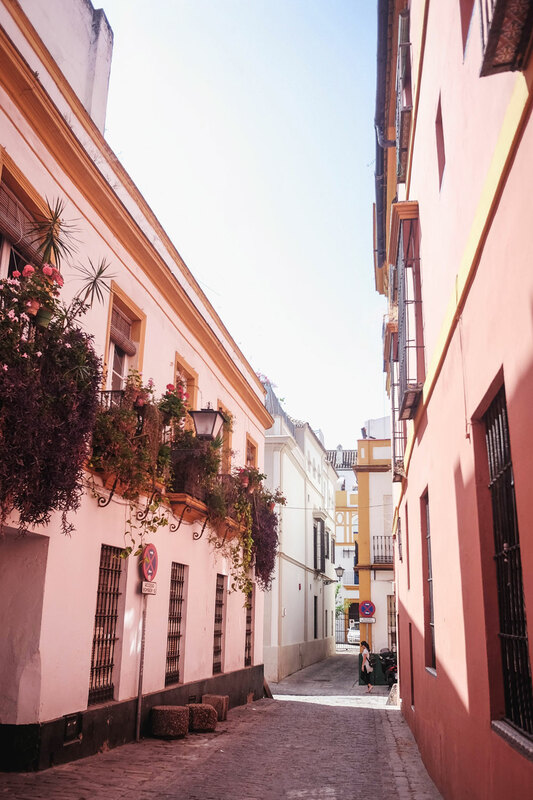 Triana has a strong history of pottery and tile craftsmanship and it became pretty clear that people from Triana really strongly identify with their neighbourhood—it has its own vibrant culture and is really beautiful to boot. They’re a bit touristy but really worth it. We went to Sala Custom and it was honestly amazing—such an exciting thing to see in person! You may recognize this from the last Game of Thrones episode! When we were there they were getting the flooring set up for the map floor scene—at the time they wouldn’t obviously specify which show it was but so cool to spot it in the latest episode! Even with that work underway, it was still super beautiful and interesting to visit. Well, you won’t really eat here but it’s a super popular place for a cerveza—was packed every single night. Established in 1670—insane! You can feel the history when you walk in here. Simple, traditional tapas in a truly unique, special setting. A must if you’re visiting. 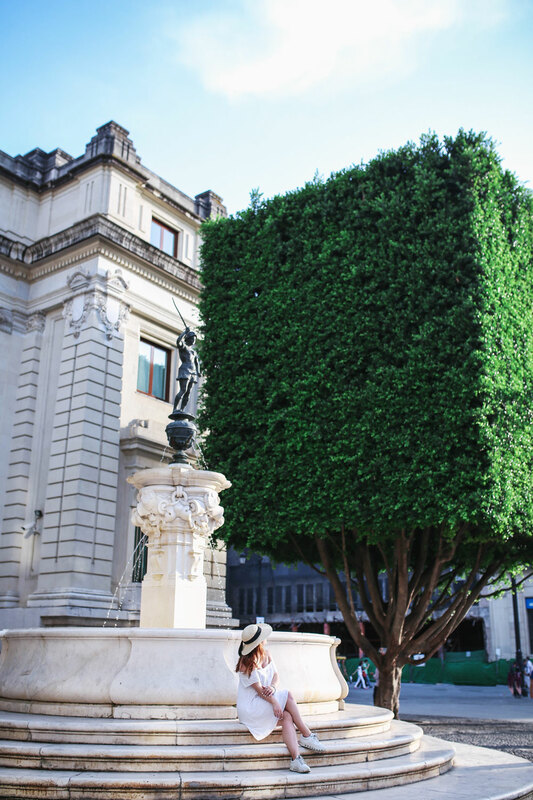 A really amazing spot for breakfast—love its fresh juice options! It’s not the most reasonably priced place but the view is unbelievable. Worth the slightly pricier drinks! An institution for a reason! Part of the experience is seeing the show that goes on inside with the staff so make sure you pop in for a drink! 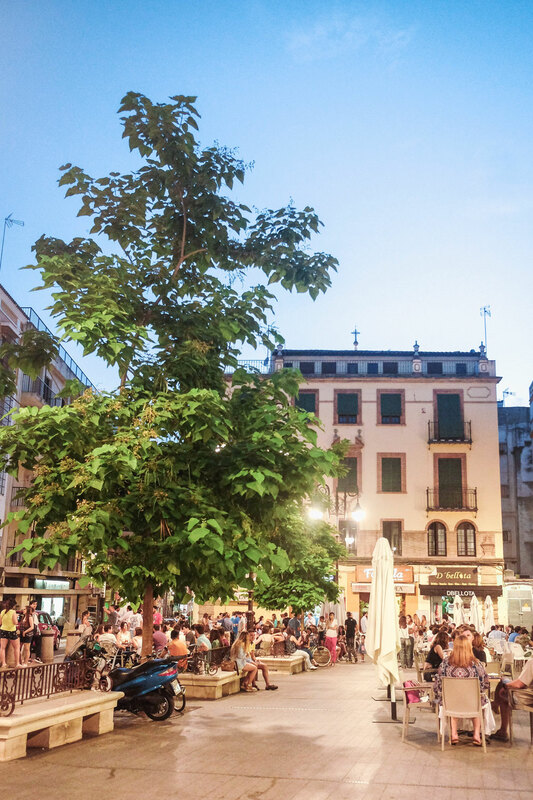 We stumbled upon this plaza (Plaza de la Pescaderia) and immediately fell for the warm vibes—huge crowds of people spilling out into the plaza from all the bodegas and bars circling around, just electric with energy. We tried a bunch of local delicacies and had a few beers here and it was honestly the best experience. We had a legitimately dream spot with Manuel, who was so lovely about helping us sort out transfers, our flamenco show, etc. This place was beyond beautiful and so much attention and detail went into the whole space. You can tell he’s a pro when it comes to hosting and hospitality—can’t recommend it enough! Okay guys and with that, Spain is officially wrapped! Time to buckle down before I take off now for just shy of a month—so excited! Speaking of travel, if you’re reading this early stop by my Instagram as I kick off my first Insta Live (all about travel content planning and the like) at 8AM PST today! 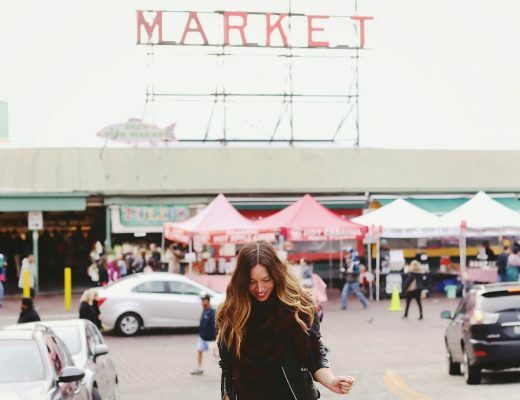 What a wonderful blog Alexandra! 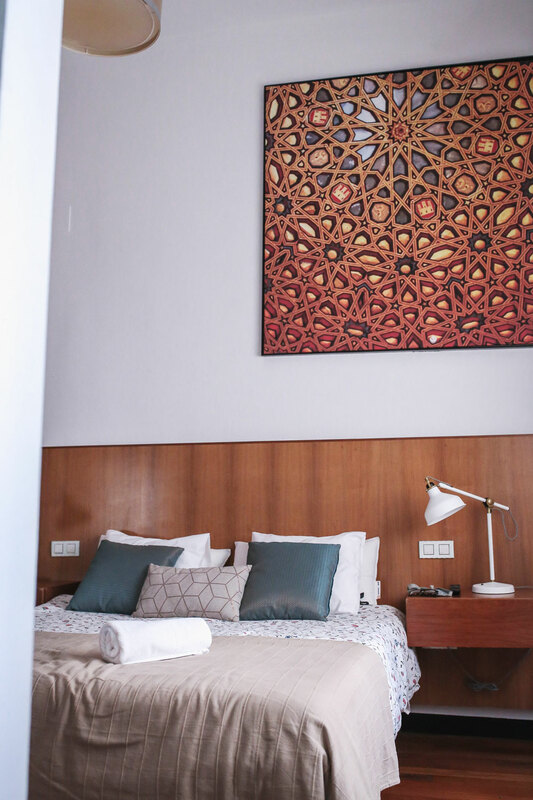 Just today one of your readers book the same gorgeus apartment, because of your “rave review” (in her words) and when I read it I got so exited that I even feel emotional! Honestly, thank you so much. It was such a pleasure being your host. If you (or any of your readers) ever came back, I would be so happy to welcome and make you feel at home again. All the best with your amazing work!